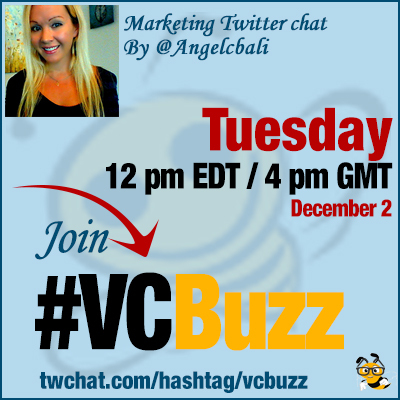 We love giving some exposure to Viral Content Buzz loyal users by bringing them into the #vcbuzz spotlight! Today’s featured user is Angel Balichowski, our active member and valued community member! Angel did a great video guide on using Viral Content Buzz which we will soon add to our official Udemy course!
. @Angelcbali is a work-from-home mom blogging about making money from home and creating a successful website. Q1 Why did you decide to start blogging? What are your blogging (success) stories? I knew it was smart to brand myself and not just my company. I wanted something that was my own no matter where my career took me. My mentors all blogged so I knew it was important! My first success story was that I put my blog all together myself! My blogging mentor @rayhigdon featured my blog on his webinars a couple of times and that made me cry too! 😉 Having home biz owners reaching out to me for blogging help makes me cherish what I do. Once I grew a following I was able to monetize my blog more and generate business contacts. With adding in Viral Content Buzz regularly over the last 6 months I’ve tripled my unique visitors! It’s only been 10 months so I feel like I’m still just getting started and can’t wait to see where it goes! Q2 What’s your favorite social media site and why? Q3 Why do you like using Viral Content Buzz? How did you find us? I heard of Viral Content Buzz from my friend and mentor @tanyaaliza during a blogging course she was teaching! I love Viral Content Buzz because it is quick, easy and effective! #Boom #wahms don’t have time to waste! I’ve spent a lot of $ on other social sharing sites out there, and have found Viral Content Buzz to be the best by FAR!!! I love that the social shares are on relevant sites that drive visitors to your blog, and the broad range of categories makes it useful for ANY niche! Q4 What’s your tips on getting more shares through Viral Content Buzz? Which of your articles did particularly well at VCB? My first tip is a catchy headline! Grab people’s interest and make it #Twitter friendly with a hashtag! Watch grammar in your headlines…I tend not to share poorly written headlines 🙁 Sorry! Be UNIQUE!! I tend to take a peek at the blogs that spark my curiosity!! Make sure your content is providing value, is good quality, and is visually appealing! My best article was on How to Sell on #Instagram! That puppy got over 2500 Stumbleupon shares! – Instagram is hot and it’s the Holidays so was popular! @viralcontentbuz A4: I look for #content that is targeted & provide new insights & gives me an aha moment #vcbuzz. Definitely make a point of thanking people and interacting with the community. They are AWESOME! And definitely be consistent in using VCB, the more people see you the more they know you and share! Q5 As a stay-at-home mom, blogger and success coach, what’s your productivity secret? I plan my day the night before. I highlight what HAS to get done and don’t beat myself up for what doesn’t! As long as I’m doing something productive for business each day, I don’t worry about days that get out of hand. WAHMs don’t really get away from “work” so be silly sometimes and go easy on yourself! I also make time for personal development/meditation HUGE for me! I also don’t hide that I’m a mom doing biz. I’ve lost followers who didn’t “get” that, and that’s ok! Personal Development is always a mindset audio in the morning by one of my mentors and I read a chapter a day of a good book! I’m also very quirky about affirmations! #mindset is key =) It keeps me from being stressed.